We are now providing additional exposure to many of our properties using an online virtual tour that lets home buyers move through a property and see it from any angle. 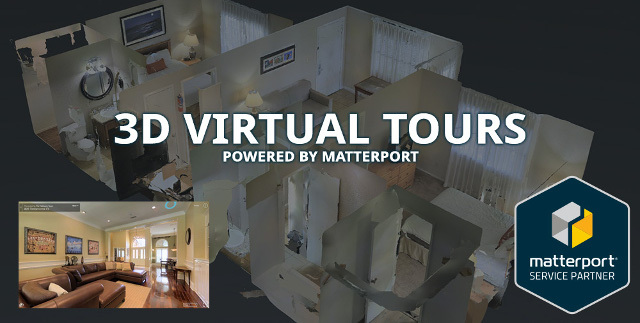 By using a special 3D camera designed by Matterport, the photographer can produce three-dimensional, photographic images allowing users to explore a property, going from room to room, using a mouse, keyboard or their finger on a smartphone or tablet. Viewers are free to move at their own pace, follow their own path through the home and look wherever they want. They can experience a unique vantage point with the “dollhouse” view or through a flat floor plan.This incredible technology allows people to explore a property as if they were physically there. In the internet-age, this is an invaluable tool for marketing real estate, especially lifestyle properties! Interested in seeing what a 3D Virtual Tour looks like? Explore one of our Gull Lake homes here! Statistics show that 92% of home buyers begin their search online – but there is no denying that there are a lot of properties competing for attention online. By going beyond just a listing in the MLS and a sign in the yard, your will property stand out and catch a potential buyers attention. You can engage these visitors with an online 3D/Virtual tour that lets you uniquely show off your home, floor plans and key features. For our sellers, this is the very best in technology to showcase your home online. Potential buyers can walk through your home without you having to prep your house for a live showing, saving you time and making in-person tours a step closer to purchasing. Since we know from experience that many buyers of lifestyle properties come from out of state, this gives your home a jump-start to getting on their list when out of state buyers are ready to visit and tour homes. And for buyers, you have the opportunity to take a tour through a home that interests you, to actually see the “flow” of the home, interesting details, and to envision what it would be like to live in it. At Michigan Lifestyle Properties, we work hard at staying on the cutting edge of marketing technology, and are excited to bring the best of that technology — like Matterport 3D Tours — to our sellers and buyers.